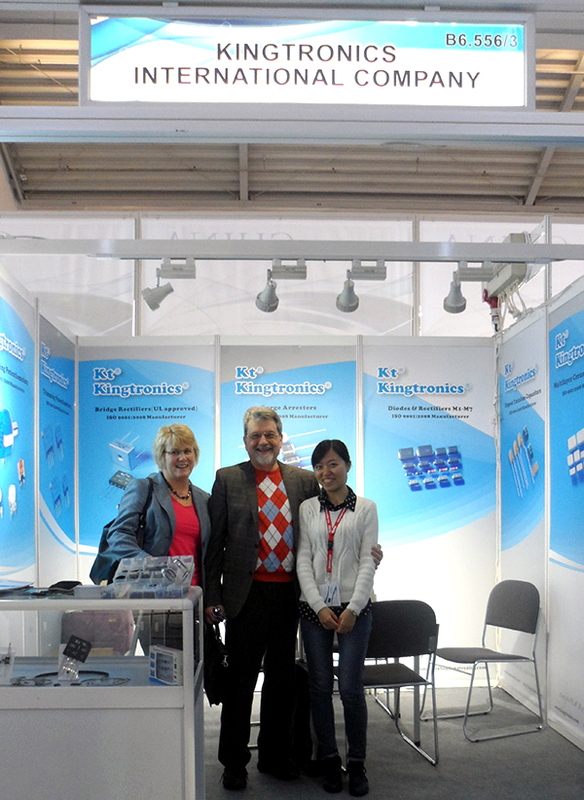 ISO Manufacturer Kingtronics International Company, showed diodes/bridge rectifiers, capacitors and trimmers in Electronica Fair.Old customers visited, talked face to face in harmoniously; We shared our samples, catalogues, samples kits to our customers. Hope we can continue our robust growth from this year together. Much appreciated your full support. Kingtronics team always offer you best service!